The Web is moderately strong piece in the upper mid range for Hammer. Anybody nostalgic is going to like these colors. Buy the Hammer Web at PureItBowling.com. The Hammer Web has reasonable value. It’s got an aggressive hybrid cover. Out of the box it’s pretty dull but typically you can modify hybrids to gain versatility. The Web Tour uses the Spheroid TE symmetrical core inside the Aggression Hybrid coverstock. 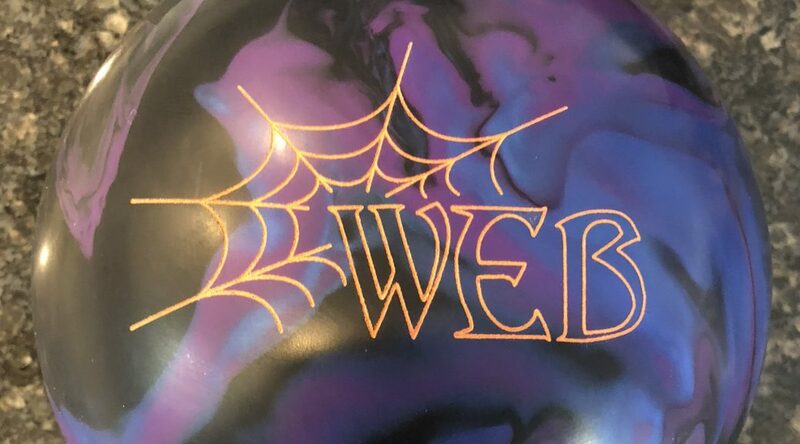 We tested this ball alongside the Web Tour Edition. They are pretty different pieces. We talked about how house bowlers might want more help from the core over the Web Tour and here it is. This Spheroid core shape is a very good predictable one. For those who may not realize, this is the same core as in the Rhodman and Bad Intentions balls. Ultimately, this ball will likely be very usable for many bowlers. However, this cover out of box is too strong and a bit too much finish for this house shot. I found it a little tricky. You can’t really play too direct as it’s too much. If you give it too much room, sometimes it really drives while other times it’s a little soft through the pins for flat corners. In the middle you had to be a little more accurate to carry. In OOB, it’s clear that a little more volume would be a better match up for this particular cover. I think that has been the case with previous Aggression hybrid covered ball, the RipD. The balls really develop their shape very nicely with more volume whereas they burn up a bit of energy on medium house shots, taking away some oomph. This is the kind of ball I’d really like to see lane shined or at 4000. I think it could be killer. We saw that was the case with the Bad Intentions. James was next. He also saw a pretty nice shape overall. This much ball for him is not needed on house but he could still find the pocket. Again, he saw mostly over-reaction meaning the ball really wants to hook up and go. You can see it drive through the pins nicely. Again, less surface could make this a winner on house. Or save it for when the lanes play a little slicker in winter which is rapidly approaching here in the northeast. I will say this ball is very pretty. I love the colors which reminded me of the OG Taboo and Hot Sauce. Finally Bryan tested the Hammer Web. He had a pretty good look with the Web Tour and he thought he would have potentially a better look with the Web. Here, the Web seemed to slow down a bit harder for him, almost like an asym. Was a little surprising. Nevertheless, in the end, Bryan needs to find oil but also keep the breakpoint tighter as he doesn’t generate copious backends and the ball burns a bit too much energy to hit from the dry part of the lane. He just didn’t have a very wide pocket. We tested on the 40ft PBA Don Johnson pattern. For me, the ball generates good shape on the sport patterns. The extra backend of the sport shot made this ball definitively more. It never underhooked. Always felt like it was going to go. It forced me pretty deep but looked really good from there. For James, he also needed to get in and things made more sense once he realized the pattern shapes a ton so need to get deep enough to balance the balls shape with the pattern shape. For Bryan, it really wasn’t too much different from the house shot. He wasn’t really able to take advantage of the more aggressive backends. It forced him further in and he had to be inch perfect because that tight doesn’t match his game. 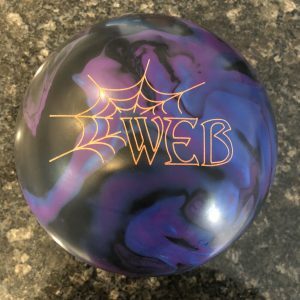 We feel like the Hammer Web is an offering that allows a bowler to put a strong piece in the bag without paying the top dollar for the highest tier balls. That gives the Web good value. For those with hand, it will be a good option to hang onto when the volume is a bit higher than the typical night. If you have more speed, you can take advantage of this type of motion as well. The Hammer lineup is very versatile right now.